Explanation: NGC 300 is so interesting because it is so normal. 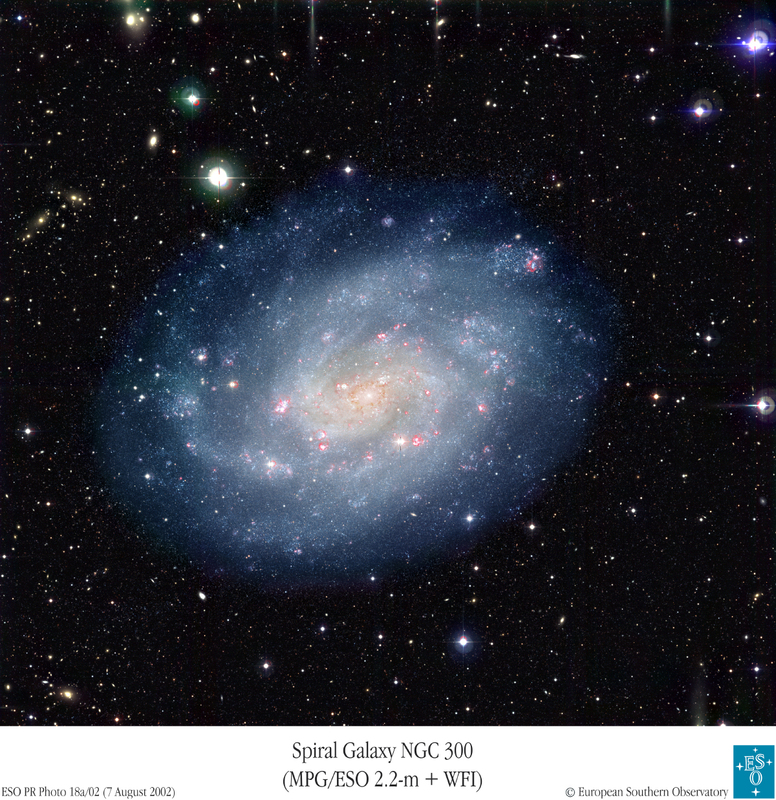 An Sc-type spiral galaxy in the nearby Sculptor group of galaxies, NGC 300 shows typical flowing blue spiral arms, an expected compact nucleus, and the requisite amount of stars, star clusters, and nebulae. 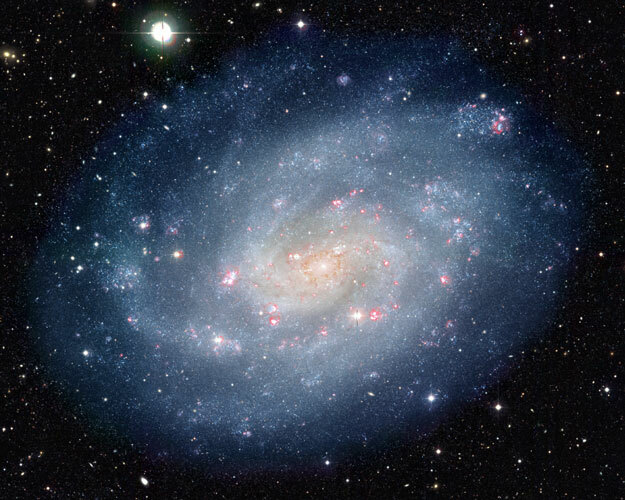 Therefore, studying NGC 300 should indicate how, exactly, a normal spiral galaxy works. Toward this goal, NGC 300 and the surrounding area were studied in exquisite detail, creating and combining a series of high-resolution images to create the above conglomerate picture. NGC 300 lies only 7 million light years away, spans nearly the same amount of sky as the full moon, and is visible with a small telescope toward the constellation of Sculptor.